I’ve recently started experimenting with watercolour painting. In this experiment I sprinkled a little salt onto wet watercolour to create a galaxy or sky kind of effect… although the galaxy effect wasn’t really achieved but I can now see how I could make it work in the future. I also used a Pigma brush pen to give the outlines variation which I like… although much more practice is needed! I’m planning to practiced all of these processes some more and try to replicate a version of this artwork in the future so that I can see improvements etc. 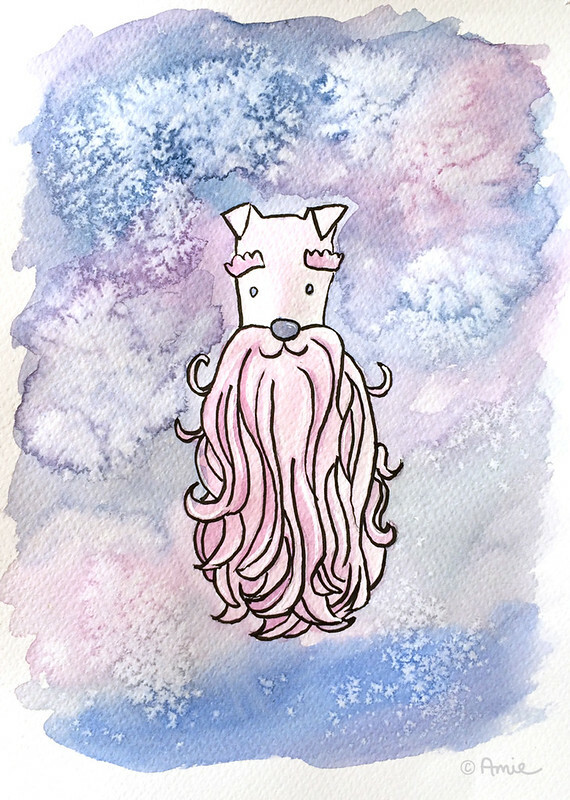 Schnauzer power illustration. Experimenting with watercolour. I totally want to rock this on a t-shirt! Gorgeous.